People know that veterinary science is getting more and more advanced, but I think a lot of people still don’t realize that certain veterinarians become specialists in the brain and nervous system of pets. Yes, your dog really can see a neurologist. So can your cat, but many neurological conditions are more common in dogs. I was thinking of this recently when one reader told me her dog had been diagnosed with meningitis, and another said she suspected her dog might have a neurological condition that prevents the nerves from sending normal commands to the muscles. So that’s why I reached out to Dr. Katherine Crook, who practices in BluePearl’s Brooklyn and Midtown Manhattan hospitals. 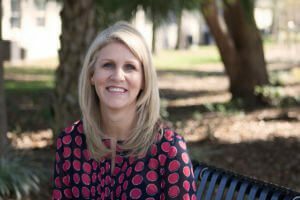 After earning her veterinary degree from the University of Florida, Dr. Crook spent years of additional study and practice to become board-certified in veterinary neurology. One reader asked: My shizuoka has meningitis. Can this be cured? Dr. Crook explained that in dogs, meningitis is usually an autoimmune disorder. This means the body’s immune system malfunctions by attacking the body’s own tissue — in this case, the tissue called meninges, which surround the brain and spinal cord. While this can be fatal , the good news is that this condition often can be treated with steroids and other medications that suppress the immune system. While this is not a cure per se, it’s an effective way to manage the condition and make pets happy and healthy again. By the way, meningitis is more common in such breeds as Chihuahuas, Yorkshire terriers, Maltese and pugs. Another reader asked about myasthenia gravis. This is one condition that is hard for a pet owner to watch. The good news is, it’s not painful. Dogs with myasthenia gravis start walking normally, and then slow down, as though they are limping or their legs have forgotten how to work. Eventually, this causes the dog to lay down. After a short period of rest, the affected pet then gets up and walks a few more steps. And then it happens all over again. Dr. Crook explained that this also is usually an autoimmune disorder that prevents the nerves from communicating properly with the muscles. The brain is telling the muscles in the leg to contract, but the muscles don’t get the message. Even more serious, this condition can affect the esophagus, the tube connecting the throat to the stomach, which obviously can have serious consequences. Fortunately medical treatment can improve many patients, but not all. A medicine called Pyridostigmine can be used to bolster neurotransmitters, which improves the nervous system’s ability to send signals to the muscles and get them working again. This is a very delicate process, with some uncertainty built in. It requires a lot of communication with veterinarians and fine-tuning of medication. For some dogs, the condition spontaneously goes into remission, and it’s not always clear why. By the way, neurologists such as Dr. Crook also treat dogs who have the equivalent of disc ruptures — something that frequently occurs in short-legged dogs such as dachshunds and basset hounds. “One reason I enjoy veterinary neurology is because it’s a true mix of medicine and surgery,” Dr. Crook said. She is able to help some of her patients with the right medicines, as in the cases above. But she also is ready to perform surgery on those dogs who need it, such as a dachshund with a ruptured disc. “I get to do both, but I’m still specializing in one system of the body,” she said. As for me, I’m really glad we have neurologists like Dr. Crook and her colleague Dr. Boaz Levitin in our New York hospitals, and many others at other BluePearl locations. Neurologists are truly giving years of life to pets who could not be treated effectively just a few years ago. Their work means families get more years to spend with the pets they love.